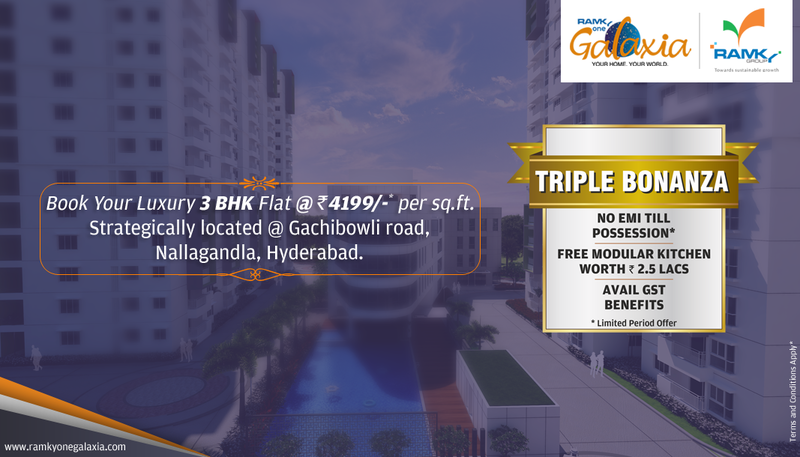 Ramky estates & farms ltd..: Ramky One Galaxia's Triple Bonanza Offer!! It’s time to book your own dream #Home with #RamkyOneGalaxia! Presenting Triple Bonanza Offer. Hurry, avail it now. Price starting @ Rs.4199 per sq.ft.